Losing weight doesn’t have to mean resorting to fad diets or buying unusual ingredients. 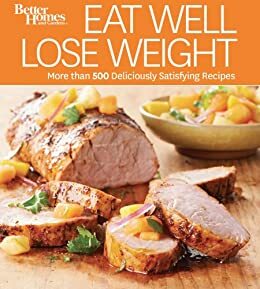 This new edition of the Better Homes and Gardens classic weight-loss cookbook presents healthy eating as it should be, with 500 straightforward, calorie-conscious recipes the whole family will love, along with more than 300 mouthwatering photos. Dig into your favorites, such as burgers, lasagna, enchiladas, and cookies—all approved by registered dieticians, with full nutritional information provided and calorie counts highlighted throughout.